To celebrate our 6th anniversary, we've published a book of the best writing and images from the first 5 years---what's technically called a quinquennial. 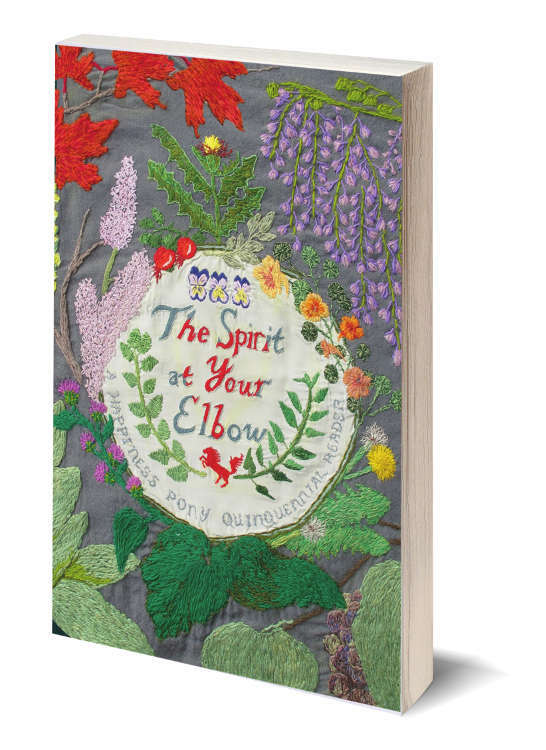 The launch party for The Spirit at Your Elbow: A Happiness Pony Quinquennial Reader will be held Saturday, October 28, 2-6-pm, at Wooberry (141 Highland St, Worcester). Please join us.